"Jason Wu, design expert and stylist to scores of fashionistas around the world knows his clothes. So when the talented guy gave the scoop in InStyle on what formal dresses were in vogue at the moment, we were all ears. Wu advised women to keep their eye out for primary colors, which are perfect for the upcoming fall. "Some grown-ups believe bright reds, yellow and blues belong only on children's clothes, but I never tire or eye-catching primary hues," he wrote in the news source. However, the talented stylist also recommended that women take some chances by incorporating accents in a surprising shade. "I just indulge in a little tonal adjustment: scarlet with a dose of orange, golden mustard yellow or a deep cornflower blue. This way you get the rush of the familiar plus a dash of the unexpected," he wrote in the news outlet. We think this is a great idea - primary colors are pretty standard, but when spiced up with a dash of another hue, a formal dress is bound to be a hit!" And of course we have all colors at TJFormal! But primary colors of red, blue, and yellow will be a great standout in the fall. Royal blue is my favorite!! 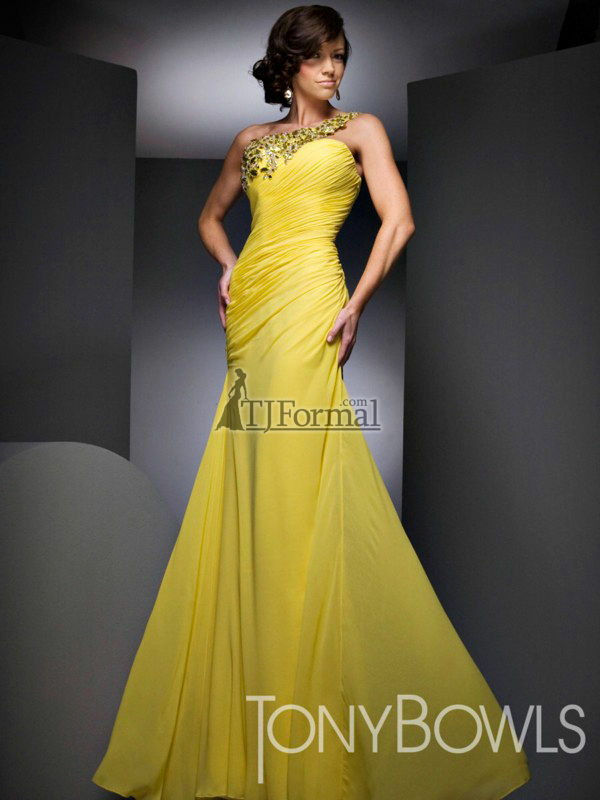 It's so striking for a formal dress too.